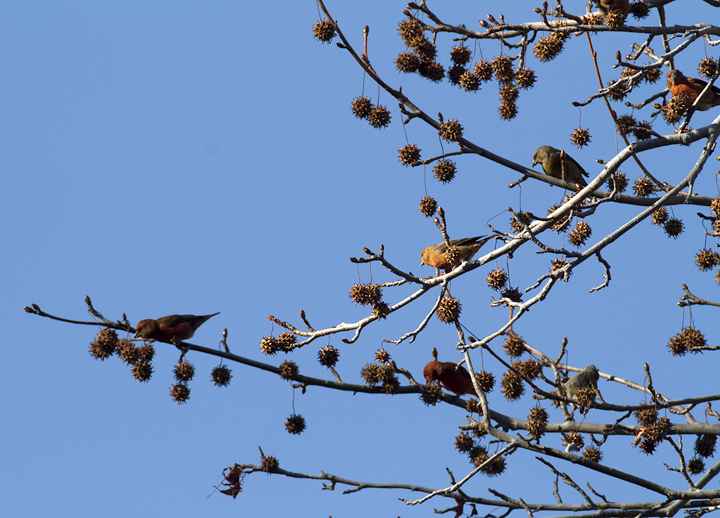 December in Maryland. 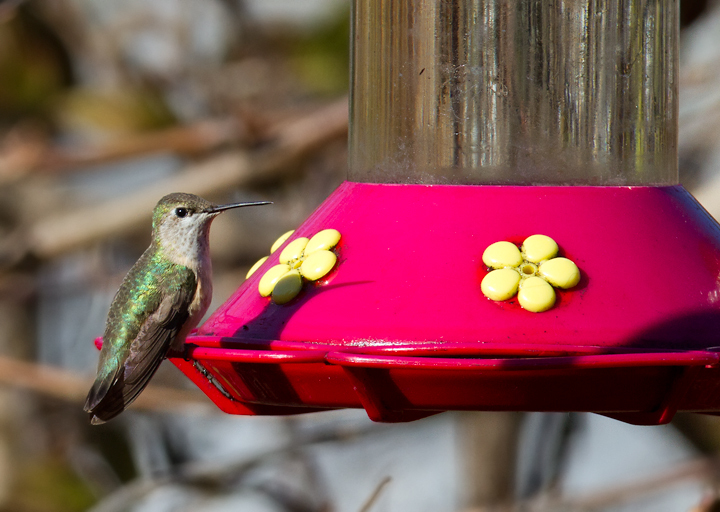 Last updated: 12/24/2012. 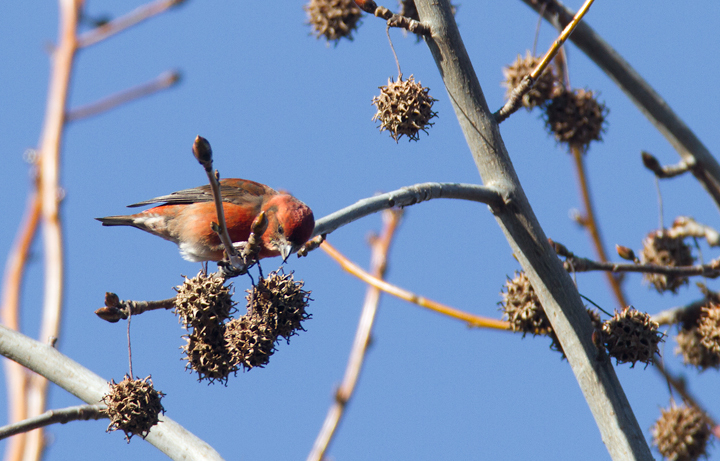 Below: In this last image, the background isn't covered in dust specks. 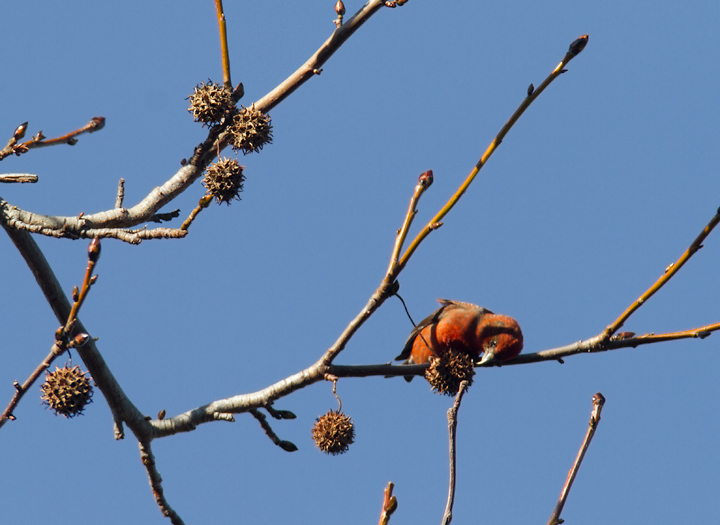 They're falling Sweet Gum seeds from his companions above. 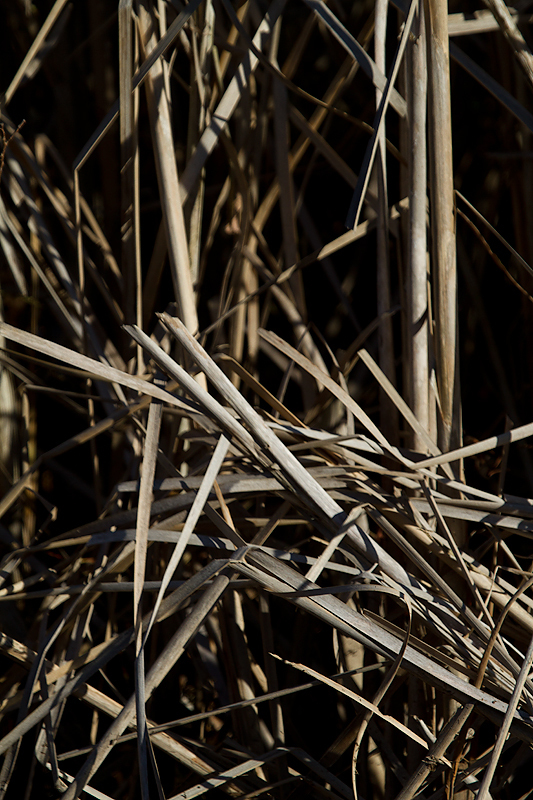 They covered my car below and even fell in through open windows! 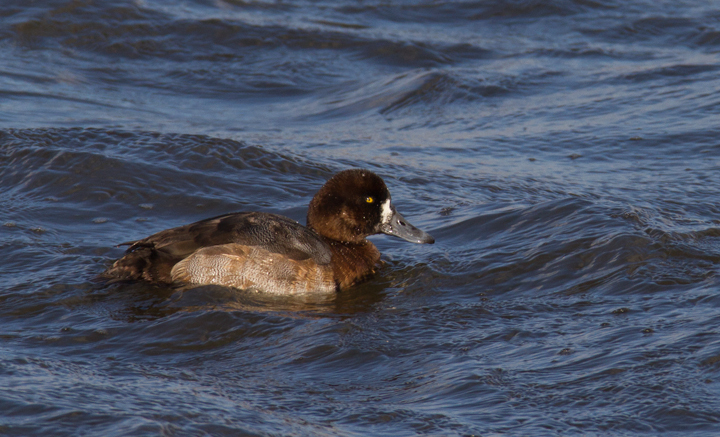 Below: A Tufted Duck off Kent Island, Maryland (12/22/2012). 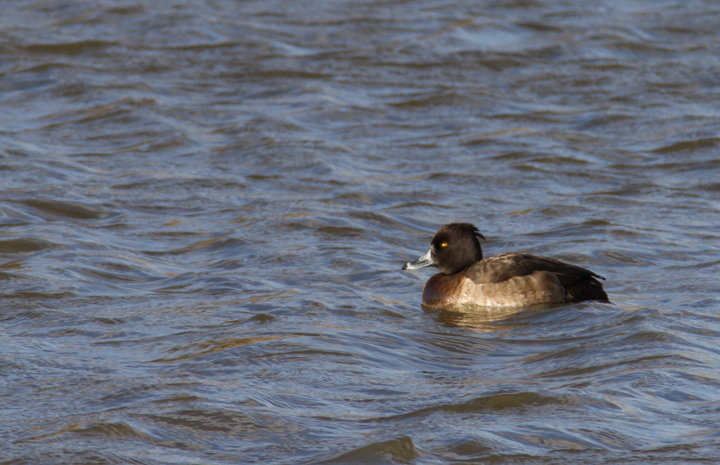 Found by Mark Schilling, this is Maryland's sixth record of this European species. 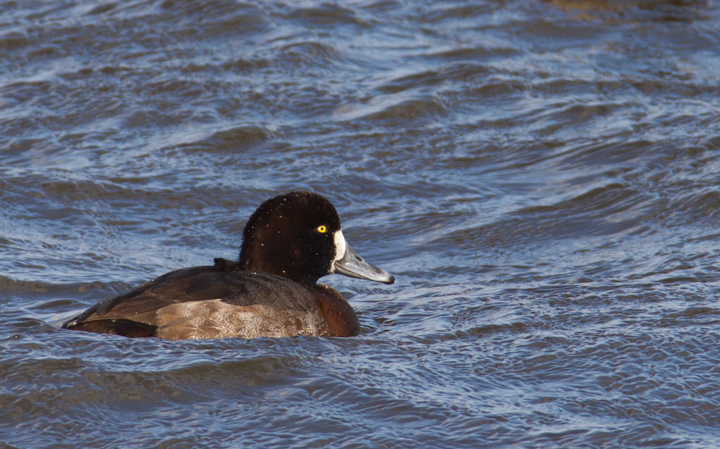 Below: A hen Barrow's Goldeneye on the Choptank River in Talbot Co., Maryland (12/15/2012). 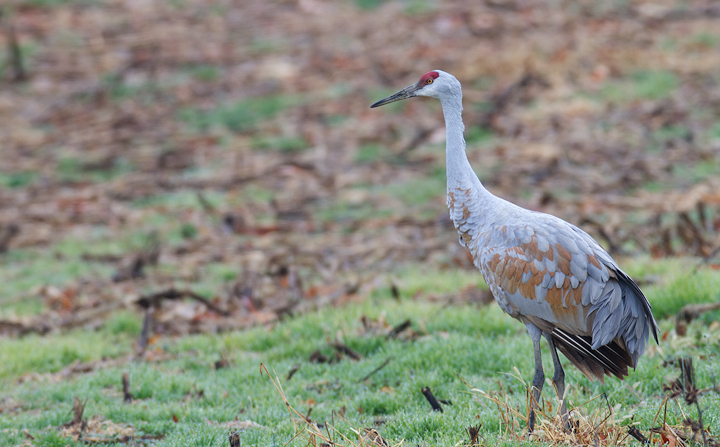 Found by Jeff Culler and Joe Hanfman. 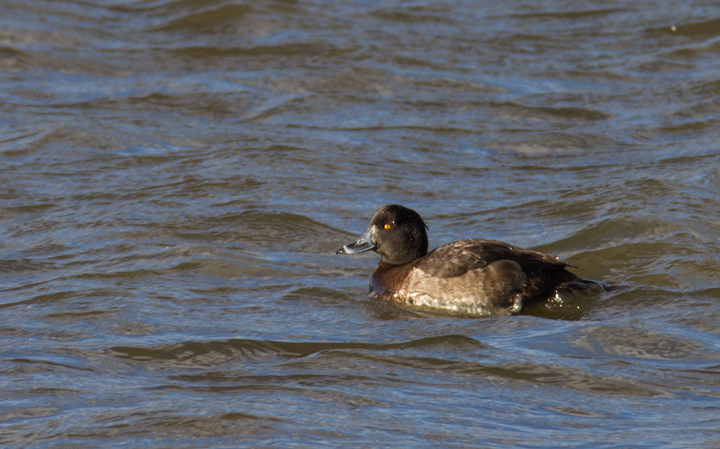 Below: My contribution to rare waterfowl this month, a drake Eurasian Wigeon, did not permit much in terms of documentation as he was distant and it was late in the afternoon. 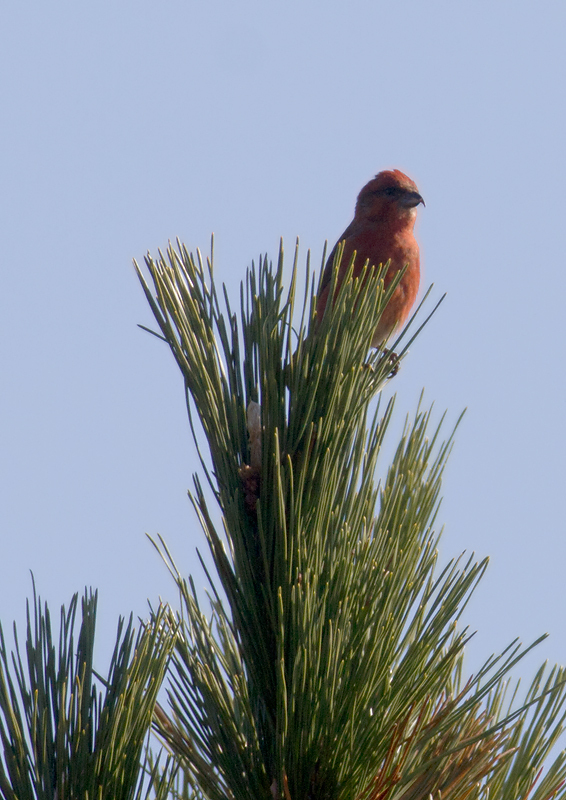 Amazingly, Mikey Lutmerding found three males and a female the following day. 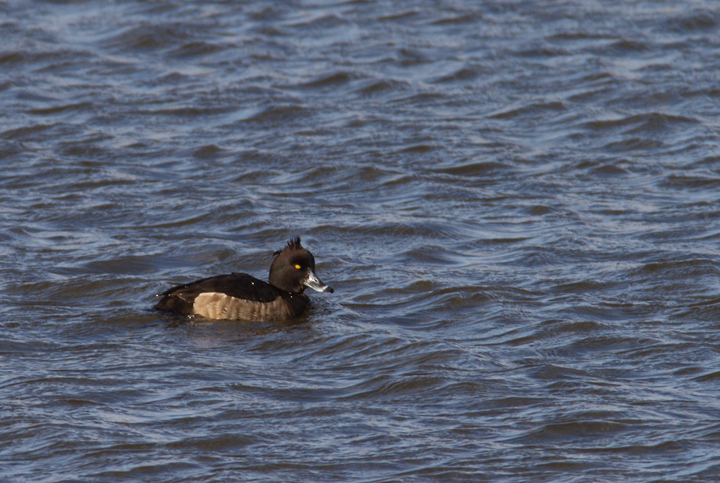 Below: Here's a very distant shot of one of the other show-stopper rarities this year. 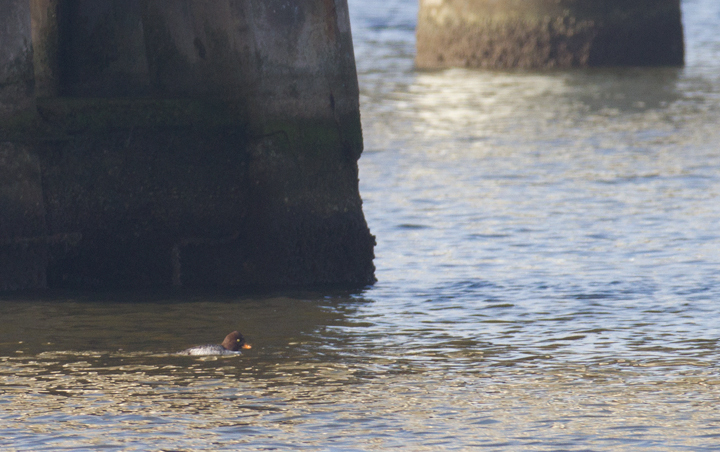 This Western Grebe was found by Sam Dyke on Sinepuxent Bay. 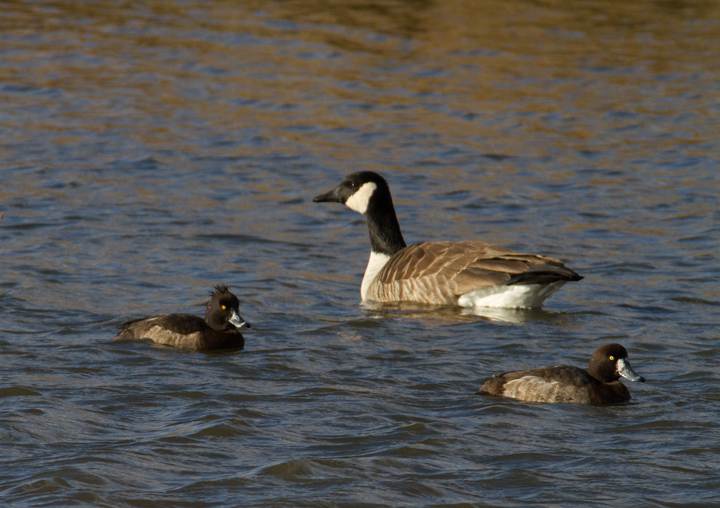 Photographed here on the last day of its documented stay (11/23/2012). 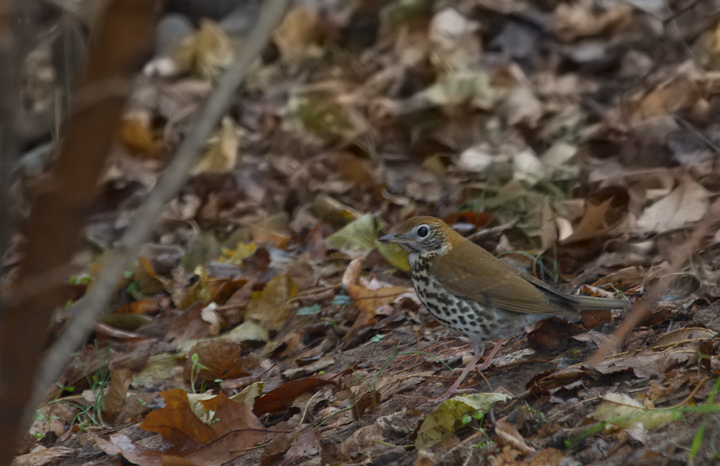 Below: A Wood Thrush persisting well into winter at Patterson Park, Baltimore, Maryland (12/8/2012). 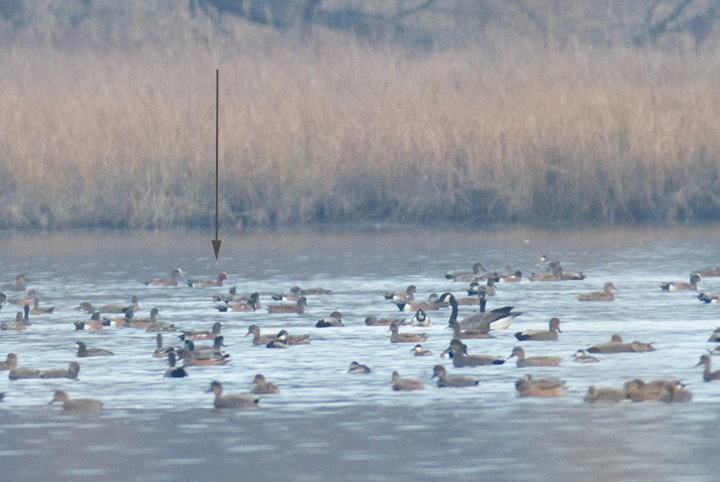 A very rare regional December record found by Mike Hudson on 12/1. 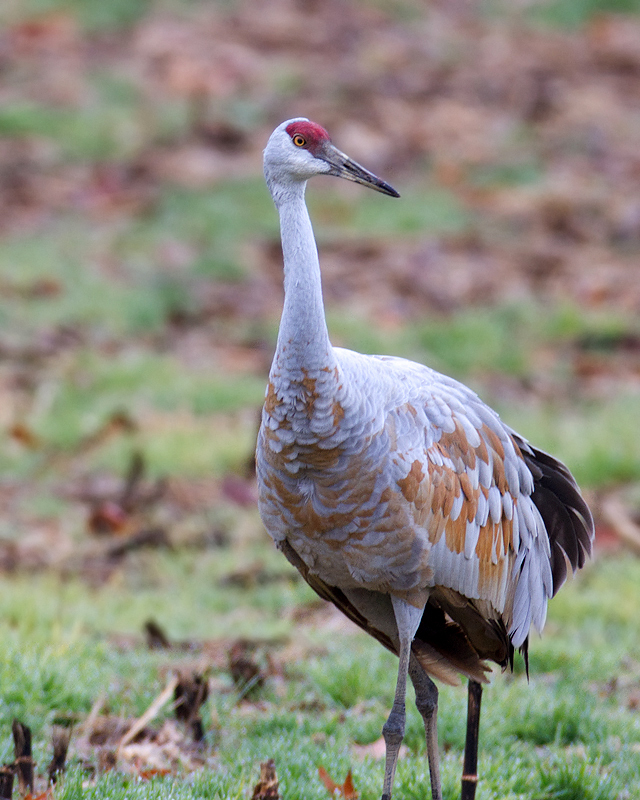 Below: A Sandhill Crane (Greater subspecies group) in Calvert Co., Maryland (12/9/2012). 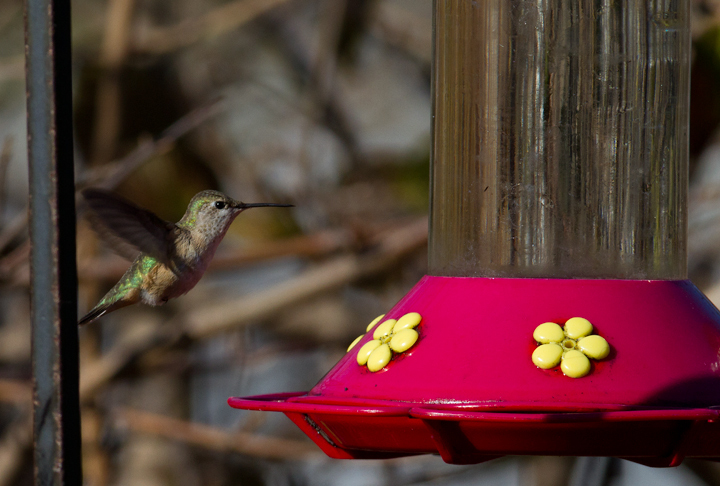 Below: A Calliope Hummingbird in Talbot Co., Maryland (11/17/2012). 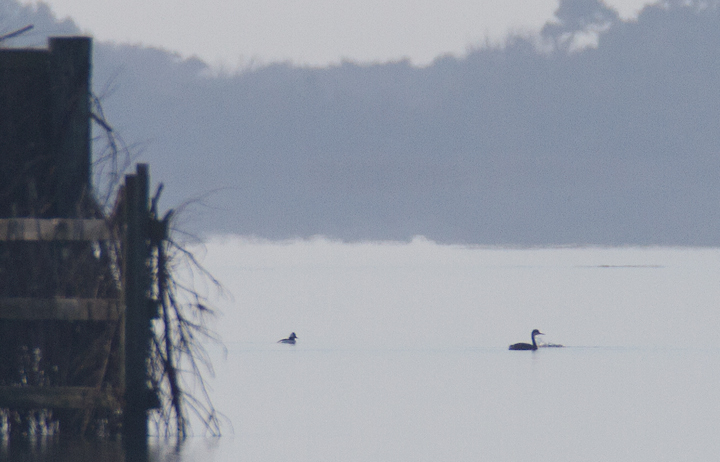 Thanks to Vince De Sanctis for the hospitality. 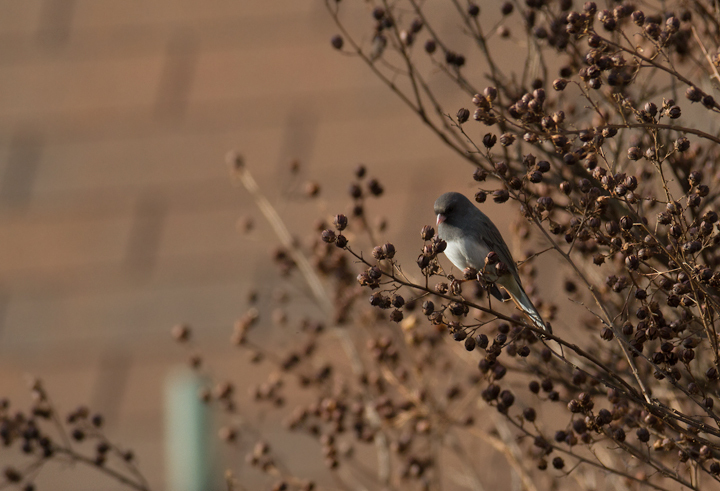 Below: A Dark-eyed Junco feeding on Crepe Myrtle in Kent Co., Maryland (12/15/2012). 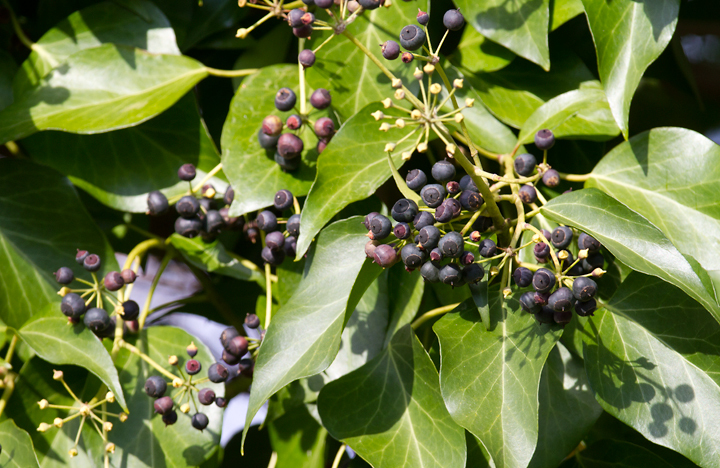 Below: English Ivy berries in Chestertown, Maryland (12/15/2012). 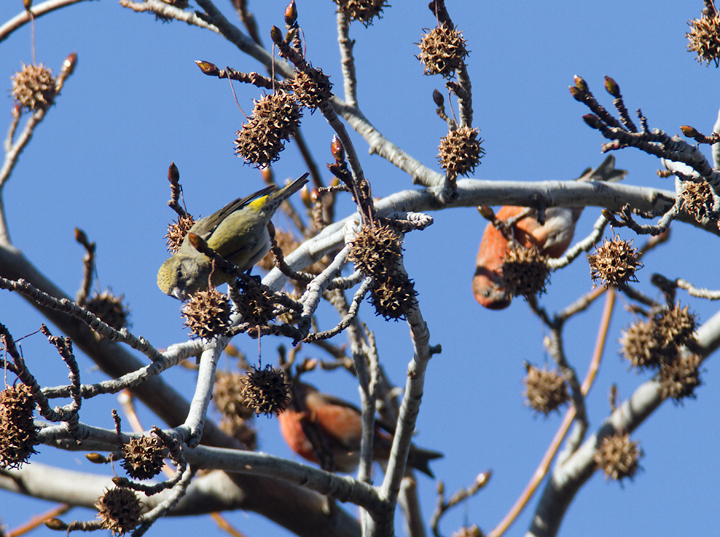 Jim Stasz mentioned that one of our few Western Tanager records involved a bird that was noted feeding on this species' berries. 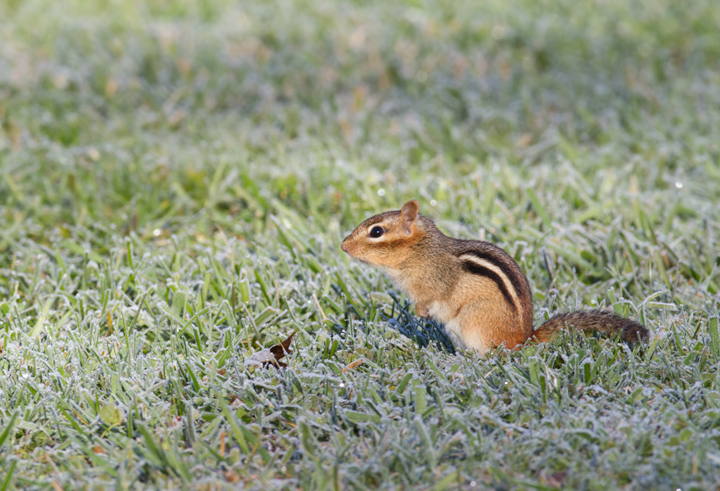 Below: An Eastern Chipmunk in Carroll Co., Maryland (11/21/2012). 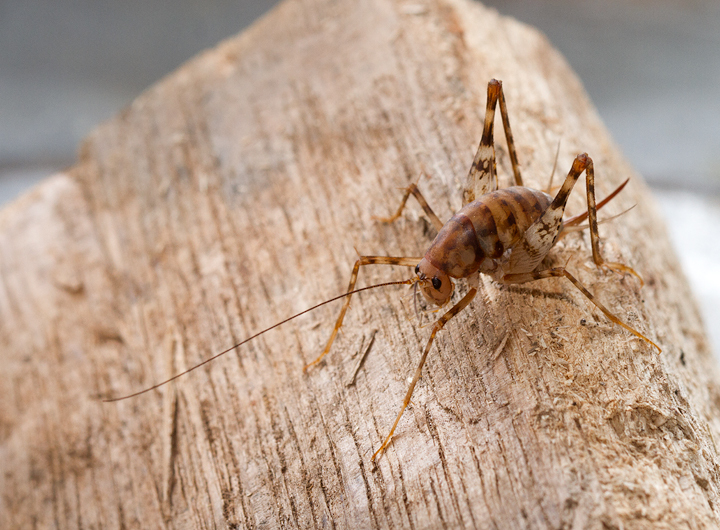 Below: A Greenhouse Camel Cricket found in my garage in Pasadena, Maryland (11/12/2012). 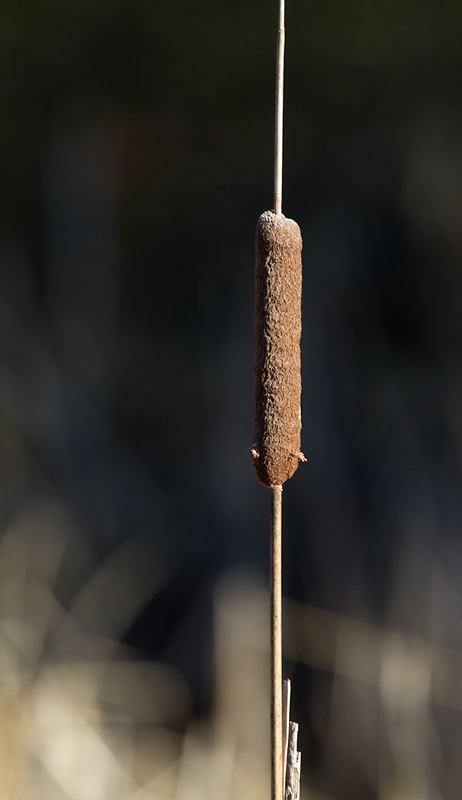 Below: Narrow-leaved Cattail on Taylors Island, Dorchester Co., Maryland (12/23/2012). 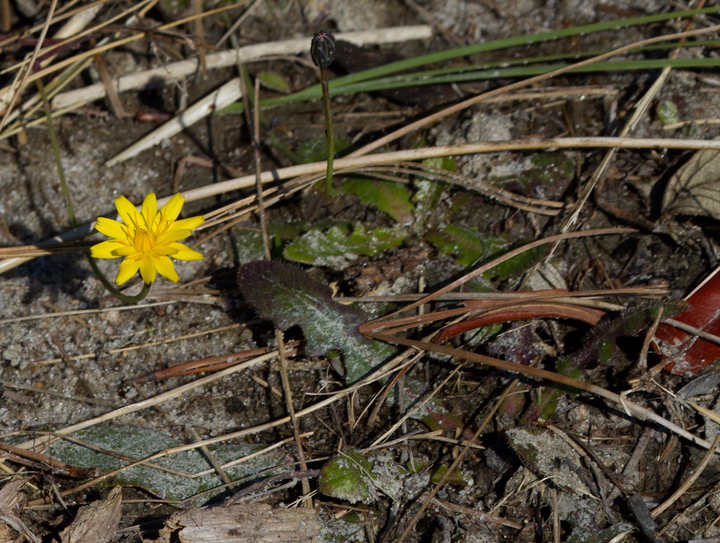 Below: Virginia Dwarf Dandelion on Assateague Island, Maryland (11/10/2012). 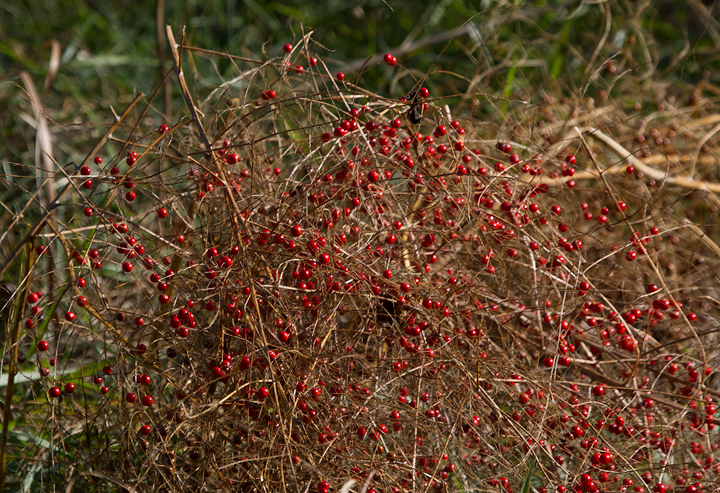 Below: Garden Asparagus with berries in Dorchester Co., Maryland (12/23/2012). 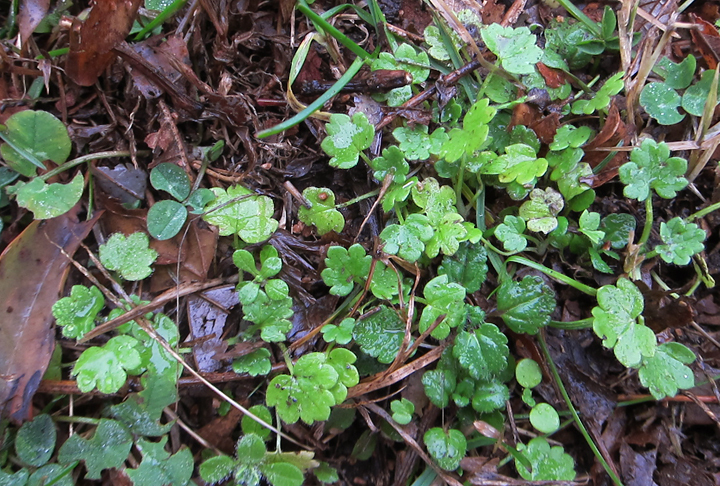 Below: Ivy-leaved Speedwell in Baltimore Co., Maryland (12/8/2012). 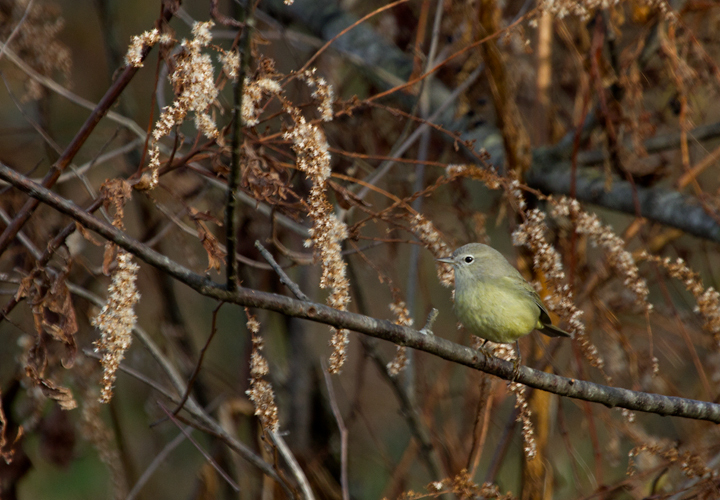 Below: An Orange-crowned Warbler at Kinder Farm Park, Anne Arundel Co., Maryland (11/18/2012). 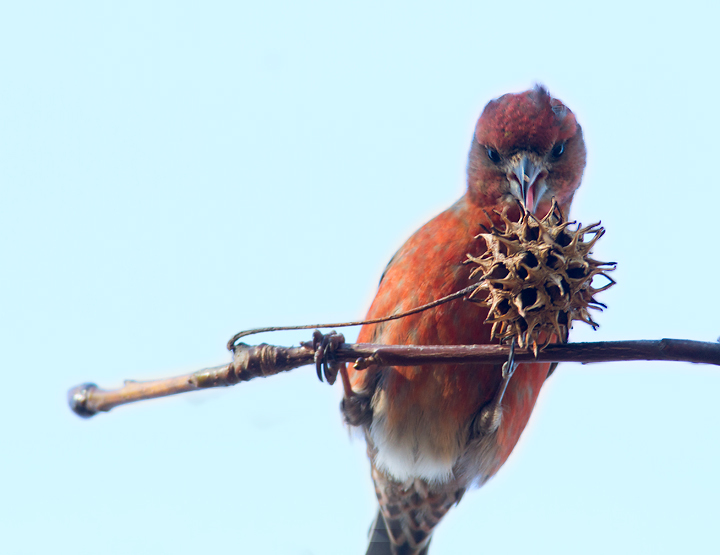 Found by Dan Haas. 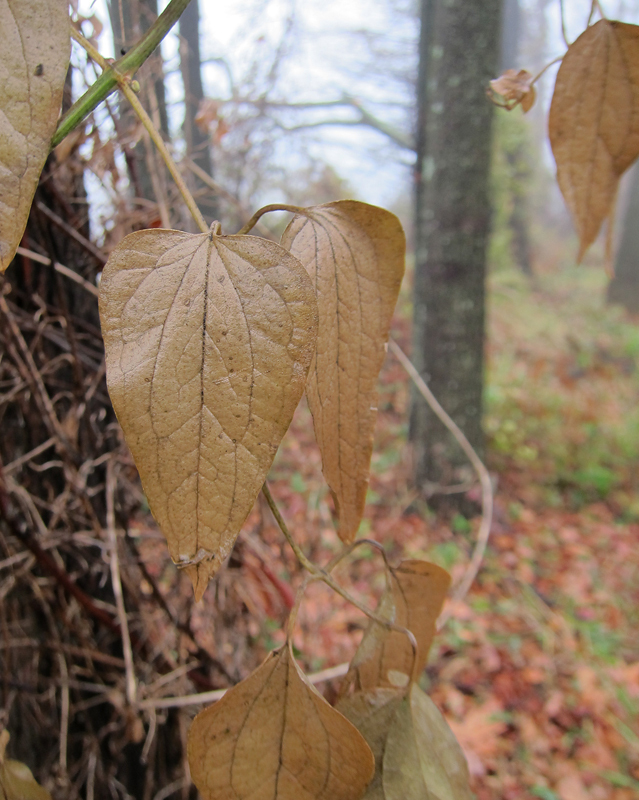 Below: Sweet Autumn Virginsbower leaves in Baltimore Co., Maryland (12/8/2012). 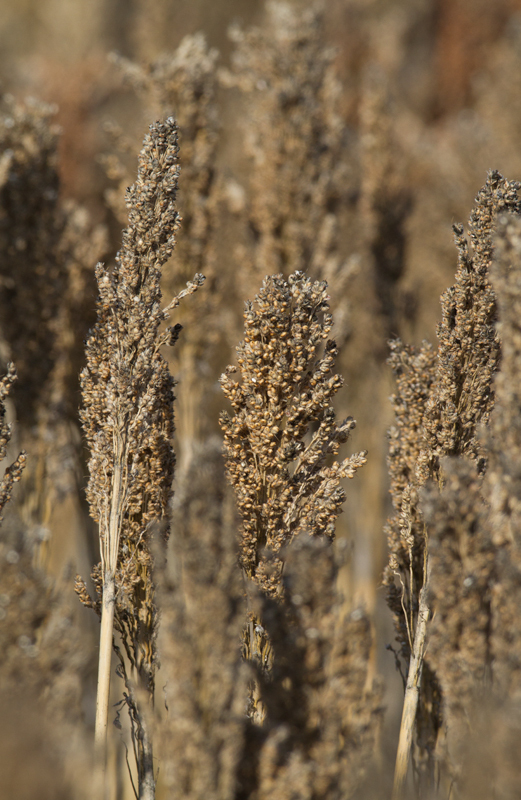 Below: Sorghum in winter at Pickering Creek, Talbot Co., Maryland (12/15/2012). 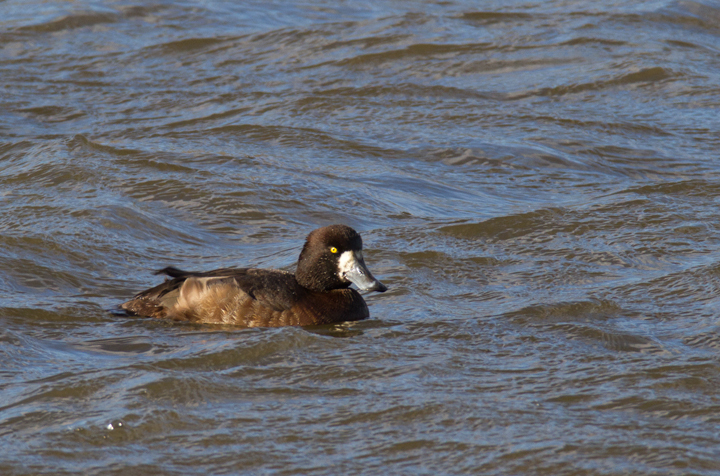 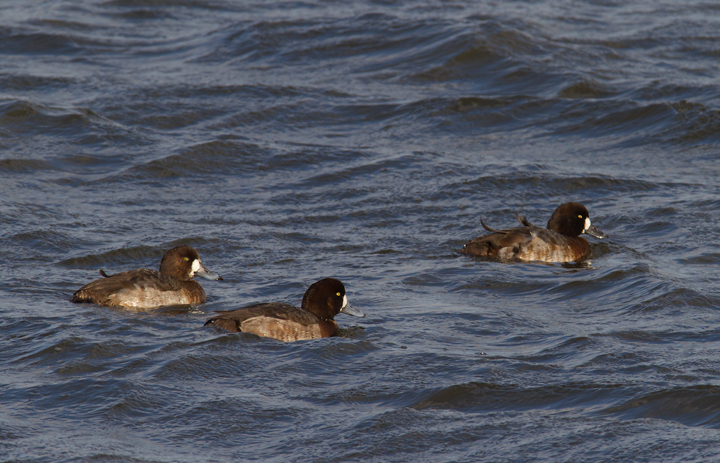 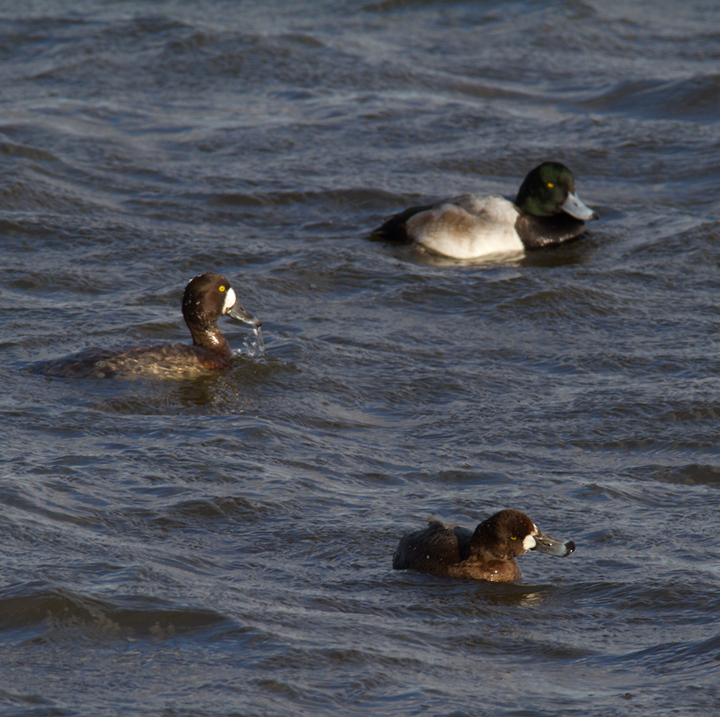 Below: Greater Scaup off Kent Island, Maryland (12/22/2012). 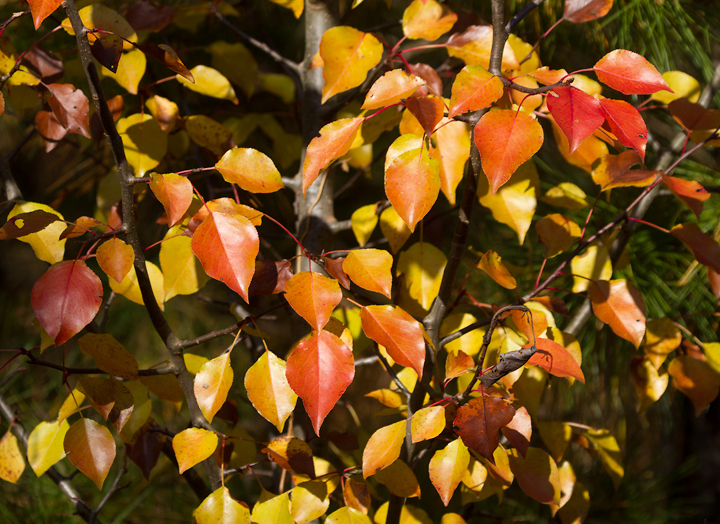 Below: Bradford Pear leaves in Dorchester Co., Maryland (11/11/2012). 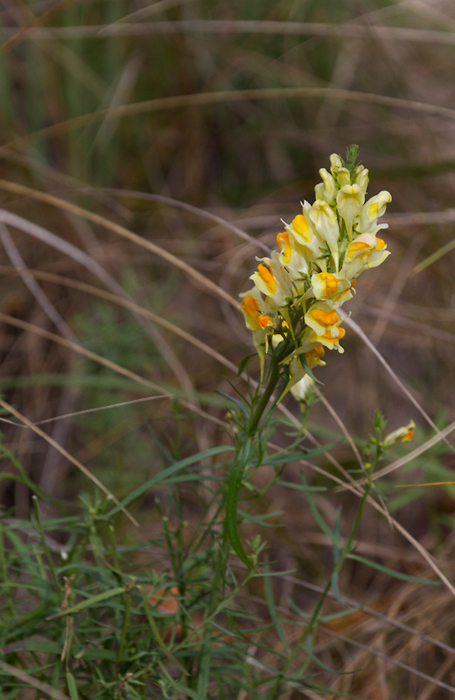 Below: Butter and Eggs blooming at Fort Smallwood Park, Maryland (11/4/2012). 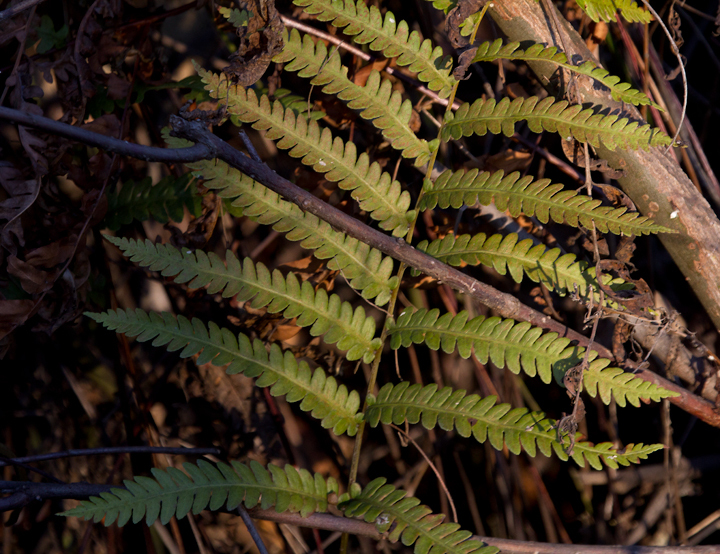 Below: Marsh Fern in Dorchester Co., Maryland (11/11/2012). 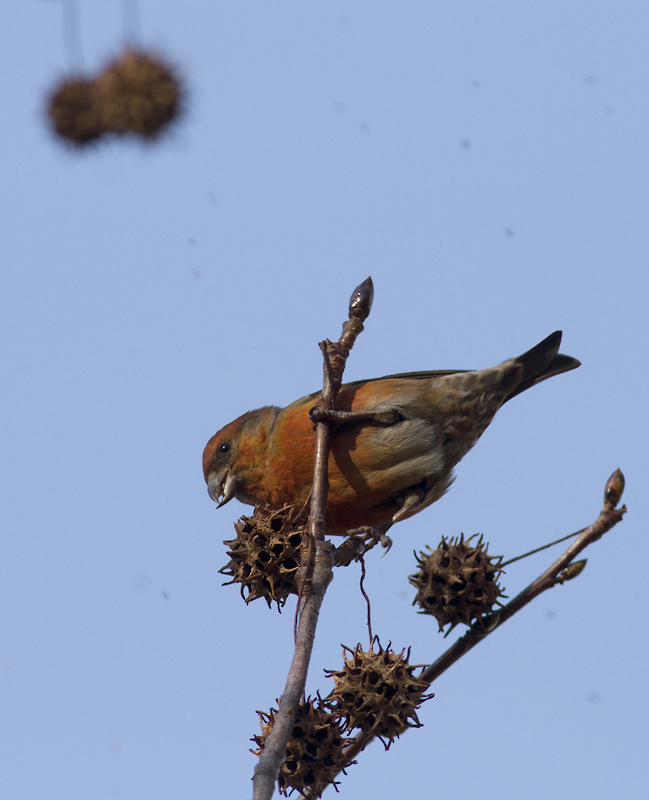 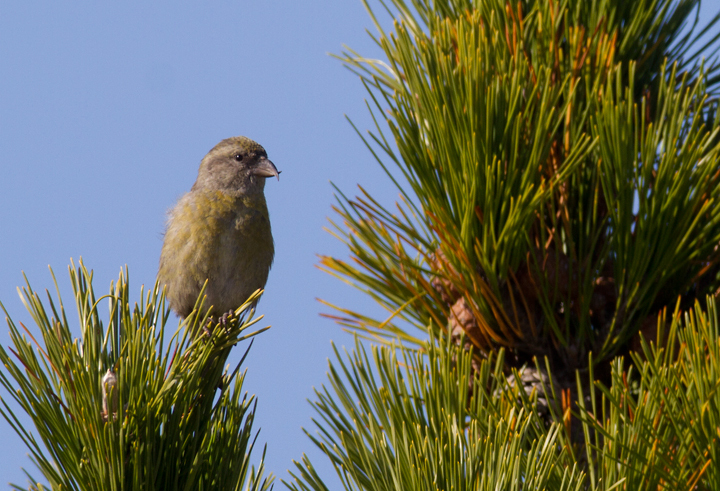 Below: Red Crossbills (Type 3) at Assateague SP, Maryland (11/23/2012). 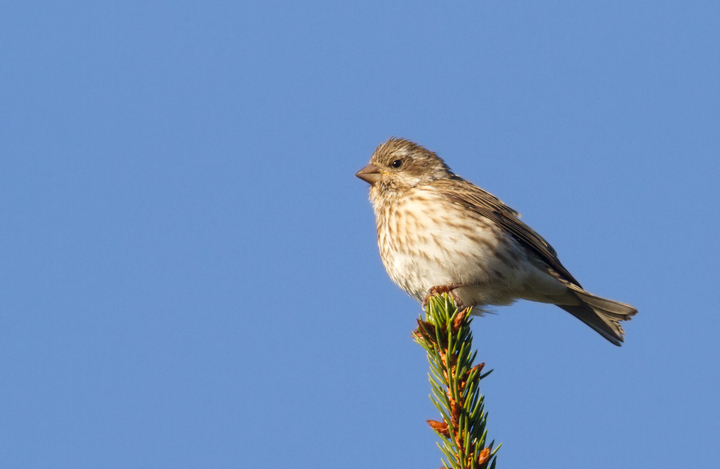 Below: A female Purple Finch in Carroll Co., Maryland (11/21/2012).